Are you shopping for Halloween costumes and decorations on Amazon? Shop through AmazonSmile and purchase with a purpose! 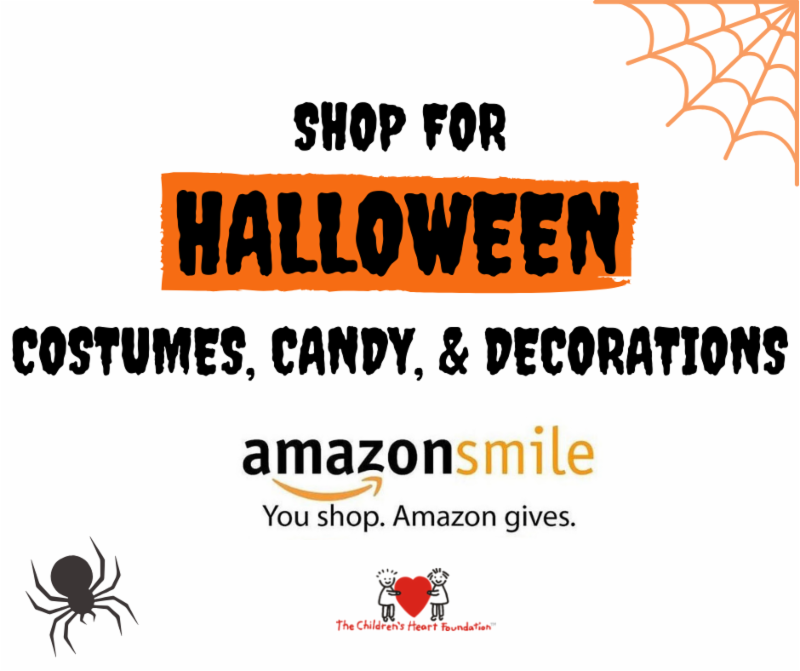 When you do your Halloween shopping through AmazonSmile with this link, Amazon will donate a percentage of your purchase to The Children's Heart Foundation! Are you interested in getting more involved and volunteering with The Children’s Heart Foundation? Opportunities could include “tabling” at community events and sharing information and materials about CHF, helping us reach more families by hosting a Meet and Greet or making outreach to a local children’s cardiology hospital, or helping out on one of our chapter fundraising events. ﻿Whatever your interest and availability, we can find opportunities that help CHF fulfill its mission! Contact Mike Tancredi , CHF's Director of Volunteer Relations with your interest! We're excited to introduce you to the new National Board Treasurer of The Children's Heart Foundation, Martha Hauber ( pictured left ). Martha has been active with CHF since 2005 in various roles, most recently serving as President and Treasurer of the CHF Illinois Chapter. Martha has a Bachelor's of Science in Accounting and Finance from Northern Illinois University. As a CPA, she spent 5 years in public accounting with Grant Thornton. Martha's passion for CHF emanates from personal experience on the importance of CHD research. Martha's sister, Anna Marie, was born with a critical CHD during a time when there were no treatment options available for "blue babies". She lived only 3 days. 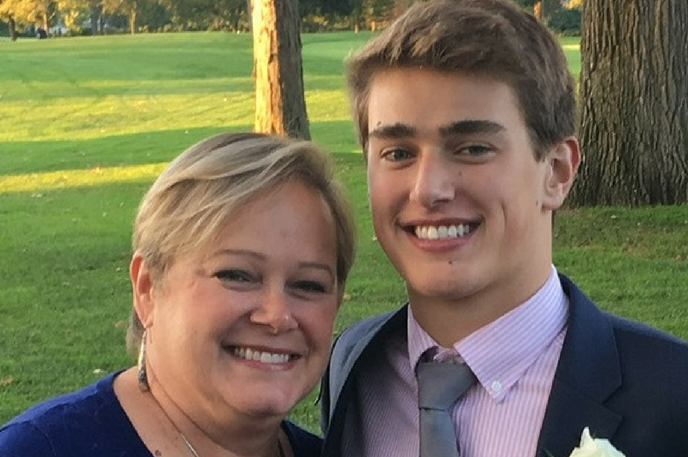 When Martha's son Drew ( also pictured ) was born some 35 years later, thanks to advancements in CHD research, there were options for babies born with the critical CHD. Drew has had 3 open-heart surgeries and 8 cardiac catheterizations, and despite these obstacles, he is thriving college student today. "I shudder to think what our lives would be like without the CHD advancements that have given children born with CHDs, like Drew, a chance at life. Without CHD research, he would have only lived a few days. Much has been achieved, but so much more needs to be done." 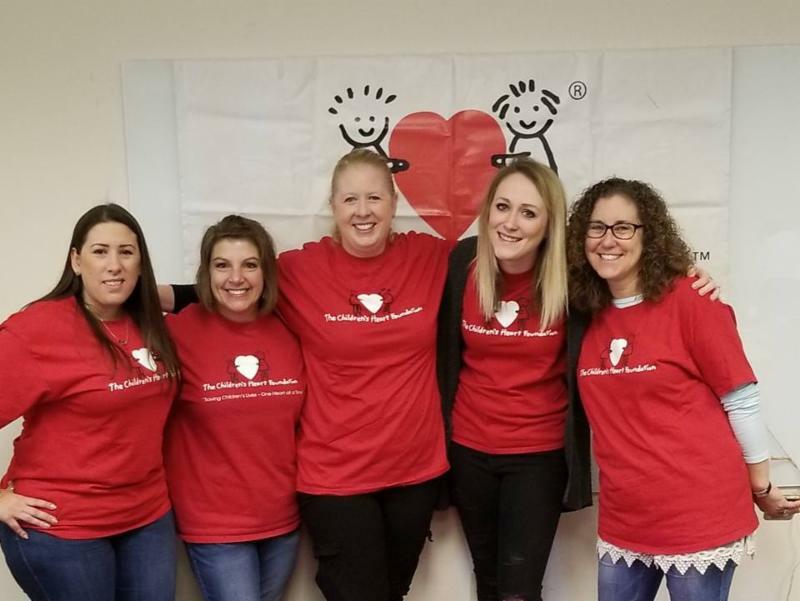 Colorado Chapter's Hitting for Hearts Event was a Success! 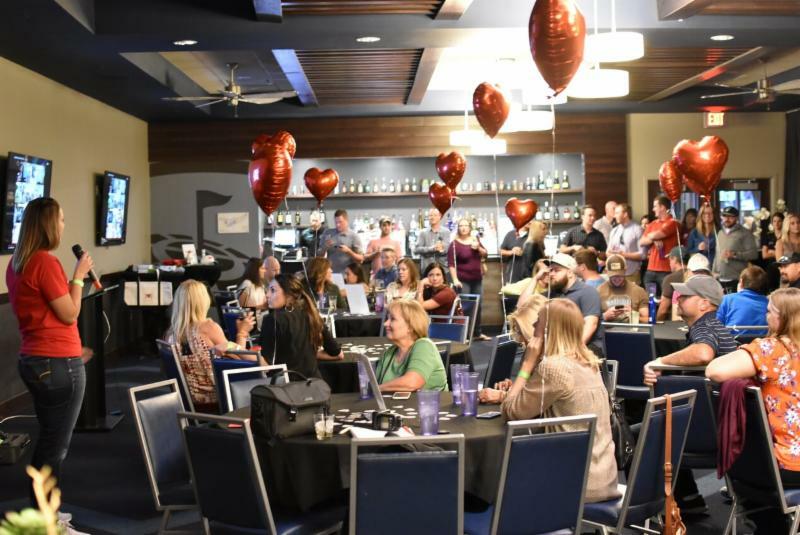 The CHF Colorado Chapter hosted it's 3rd annual Hitting for Hearts event on Saturday, September 22nd at TopGolf in Centennial. With over 70 silent auction items and $1,000 in raffle prizes, the event was well attended and a lot of fun. With every swing, bid, donation, and event share, this group of Colorado clubbers hit a hole in one by raising over $7,000 and helping us fund critical CHD research! You can still make a contribution to the event by making a donation here . CHF Colorado Chapter board members Nick Kaplan, Katie Bobo, and Debbie DeGrace put a lot of time and energy into the event to make it a great success. The chapter is looking forward to their 4th annual event in 2019! Save the date! 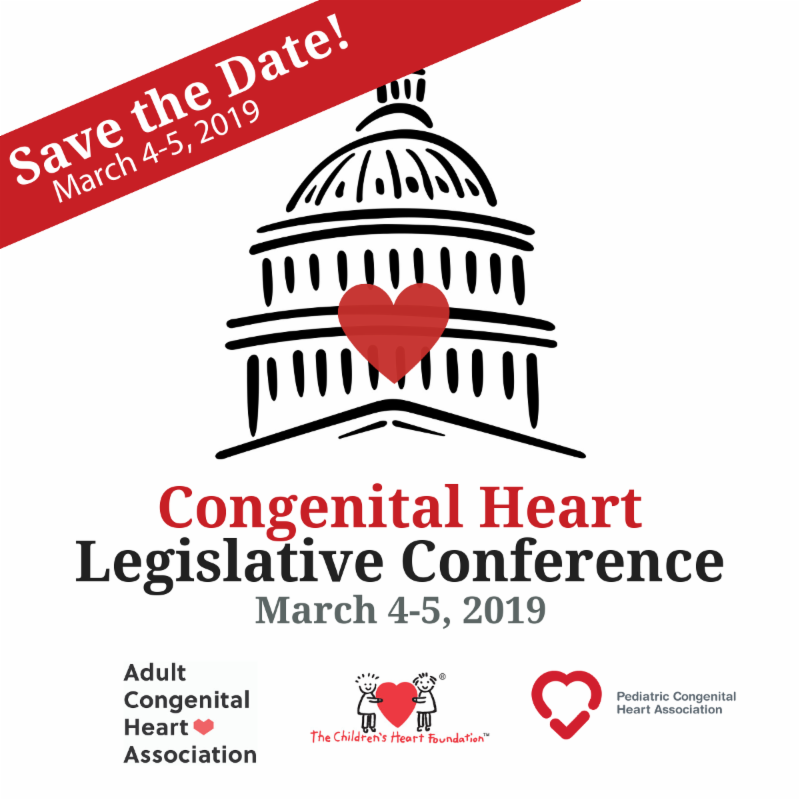 The 2019 Congenital Heart Legislative Conference will be held March 4th - 5th in Washington D.C.! Stay tuned for more information and online registration as it becomes available in the coming weeks. ﻿Join The Children's Heart Foundation, Adult Congenital Heart Association, and Pediatric Congenital Heart Association as we work with our members of congress to raise CHD awareness and understand the importance of supporting and funding CHD research. Join us as we walk to honor and remember the millions impacted by CHDs. Register here . Join the CHF Missouri Chapter for a special shopping event at Kendra Scott! Enjoy a glass of wine, some sweets, and check out the amazing jewelry for yourself or a gift! 20% of the proceeds will donated to CHF. Join us as we walk to fight CHD at the Westerville Sports Complex. Register to walk here . Join us in the Big Apple as we walk to honor and remember the millions impacted by CHDs. Register for the walk here . Join us as we walk to fight CHD in Houston! Click here for more information about the walk or to register. Join the CHF California Chapter at the Ontario Reign hockey game on October 26th for CHF night! A portion of proceeds from tickets purchased here will be donated to CHF! Click here for more information and to purchase tickets. Join us as we walk to fight CHDs at Denver City Park Pavilion! Halloween costumes welcome! For more information about the walk and to register or donate, click here . Join us at Tempe Diablo Stadium as we walk to honor and remember the millions impacted by CHDs. For more information and to register or donate, click here .